Rayovac, manufacturers of the world’s number one selling hearing aid battery, has developed an innovative battery specifically designed with cochlear implant users in mind. 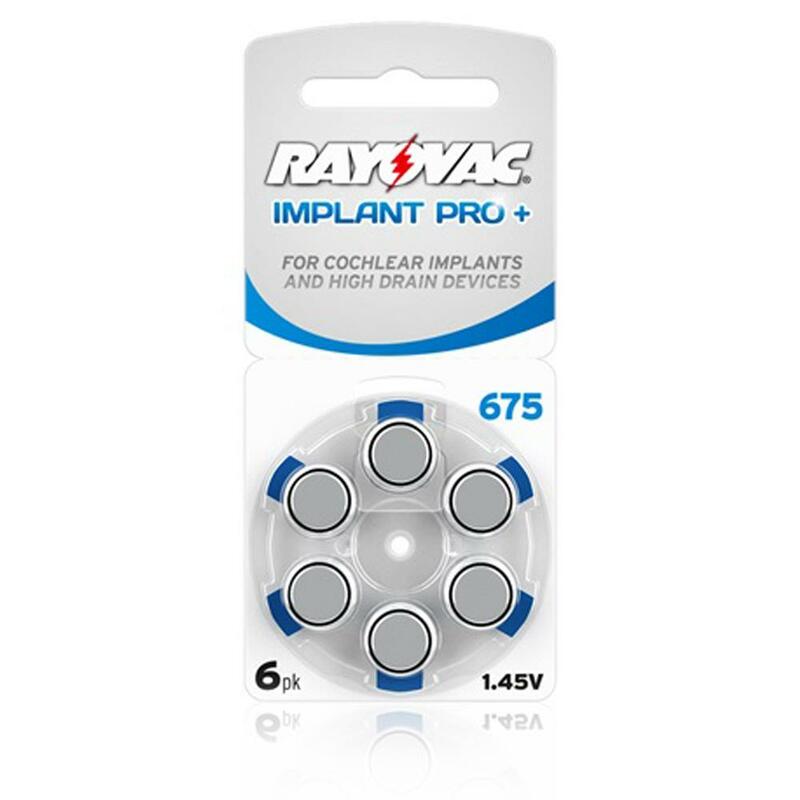 The Rayovac Implant Pro+ provides cochlear implant users with the quality, performance, reliability and consistency they need to live life to the full. This has been made possible thanks to the development of a new cathode design, which boosts the cell’s reliability, even in high-drain devices. Rayovac have also developed a new electrolyte formulation which offers increased conductivity for improved, high-power performance. Thicker, larger and more robust cards gives the consumer improved handling, the perforation also means the pack size can be reduced for easy transportation. In addition our upgraded cartons ensure batteries are safe during shipping and storage. Pack of 60 cells supplied.